Drivers can use the new digital key platform to unlock and start electric rental cars, find and book vehicles and access charging stations. 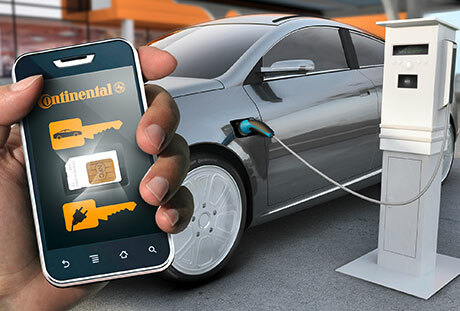 Automotive components supplier Continental is testing an NFC car key concept using a fleet of electric rental vehicles. The trial is taking place in the French city of Bordeaux, in partnership with Veolia, Evtronic, Mercur and Proxiway. Pilot participants can use the system to unlock and start the vehicles with an NFC phone. They can also use a mobile app to select and reserve rental vehicles, book a spot at a car charging station and locate a vehicle. Andreas Wolf, head of Continental’s body and security business unit said: “The smartphone offers users of the electric vehicle everything from a single source; the car hire station, the car key and the charging station. “The technology provided by Continental for the digital key makes the system particularly convenient, easy and flexible for operators and users”. Each time a vehicle is about to be used, Continental sends an encrypted data record to the user’s NFC phone. Stored on the SIM card, the record contains access authorization for the vehicle. The NFC phone exchanges data — including authentication, vehicle and diagnosis information, and the user profile — with an NFC reader integrated into the vehicle windshield. The reader verifies access to the vehicle and starts the engine. According to the company, the main advantage of using a phone as a car key is flexibility: Users can rent vehicles on the spur of the moment and easily load the key onto their phone. Wolf continued: “New mobility concepts are becoming increasingly important throughout the world. Our safeguarded end-to-end systems approach for conveniently accessing and starting a vehicle via smartphone makes an important contribution to this trend.